Stressed from daily activities at home and work? Well you should try doing again the things you’re sure you can relax. You can stroll at the mall, have a picnic at some quiet place or just stay in the comfort of your home. Best way if you can stay home either indoors or outdoors with your family or friends. 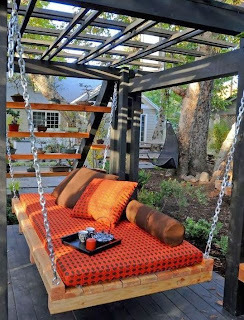 If you have something like the pic above I know fully that relaxation is so near and very possible with swing pallet and bed foam. You can sit or sleep whenever you can and feel the relaxing mode within. 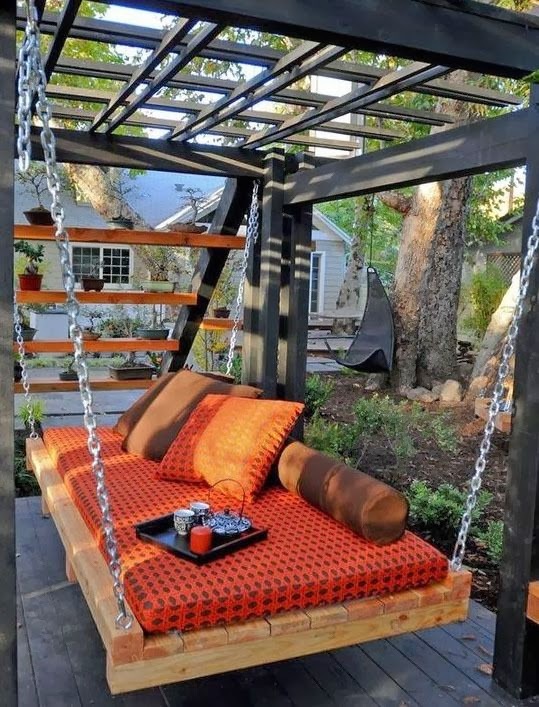 Just the swinging itself can help you distressed and further doze at the most. The foam atop the pallet makes it so inviting to sit and chat with friends and family. We should have like this at home so we can use it anytime we want and I’m sure the kids will be happy too.